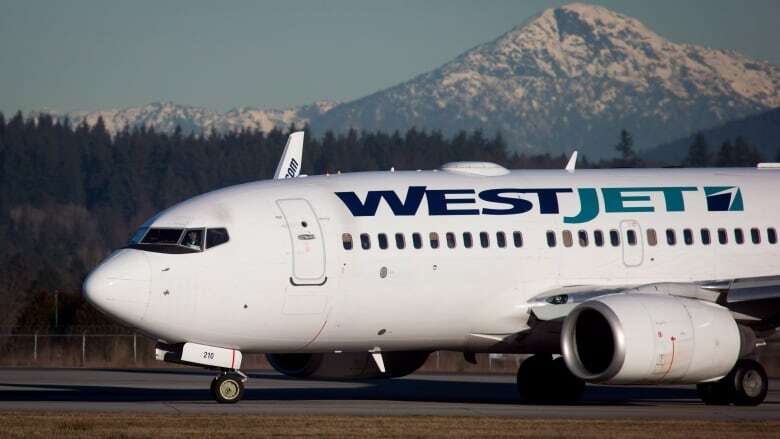 Pilots with Calgary-based WestJet have voted 61 per cent in favour of forming a union, in the second certification vote in less than two years. WestJet's pilots have voted 61.5 per cent in favour of forming a union, in the second certification vote in less than two years. In results released Friday, a total of 851 pilots voted yes to unionization, under the umbrella of the Air Line Pilots Association (ALPA), while 531 voted against it. WestJet is the only major non-union airline in Canada. Since 2014, pilots and flight attendants have been behind various union drives, with none successful. WestJet has argued against unionization, saying it would harm the unique culture of the airline and its financial position. In a statement, the company said that it was disappointed with the results, but would focus its efforts on working with the ALPA. Much has changed at WestJet since the last vote by pilots in August 2015, when 55 per cent were against certification. The airline launched long-haul flights to Europe and, more recently, announced plans for an ultra-low-cost carrier that will offer no-frills flying. The airline is also adding Boeing 787 Dreamliners to its fleet for more overseas flights that travel even farther around the globe. ""I see that those changes in the business and how they're being communicated and how they're being managed as certainly one of the factors why the union would have an opportunity to go back to the pilots and say, 'Maybe you want to reconsider the decision you made a couple of years ago,'" said George Smith, a labour expert at Queen's University in Kingston, Ont., and a former director of employee relations at Air Canada. WestJet's shares dropped around four per cent on the news, as analysts considered what unionization would mean for its business model. The airline's costs per available seat mile, which is a key measure in aviation, are lower than those of Air Canada. There is a concern among investors that costs will increase. Judging from the ALPA's WestJet webpage, scheduling, not money, is top of mind for WestJet's pilots. They bid for shifts, as do pilots at all major airlines. However, the shifts WestJet pilots get each month aren't based on seniority — they're based on a socialized bidding system in which new pilots have as good a chance to get a certain shift as the most senior pilots. The industry norm is seniority-based bidding, which gives the most senior pilots some certainty as to what they will fly each month, and newer pilots take the leftovers. "The world of airlines in not normal in terms of a 40-hour work week," said Smith. "The best of days it's still unpredictable, but then you throw in snowstorms and hurricanes and in some cases volcanoes, all these things impact flights, which then reverberate through the system. It's a very uncertain work environment." WestJet's flight attendants are also working to form a union, through an in-house group of employees. After a push though the fall of 2016, the flight attendants have not yet accumulated enough signed union cards to call a vote. WestJet has long promoted a friendly corporate culture, with cabin crew cracking jokes on flights, and all staff on aircraft, even top executives, helping to clean up or groom a plane after it lands. "WestJet has prided itself on customer service, including the fact that the pilots are generally friendly with the public, and I wouldn't expect that to change," said Smith. "The one thing that could be a possibility at some point is the threat of a strike or a lockout that becomes public and causes the travelling public to change travel plans. But that will be one of the key challenges for the union and management to deal with, so those things don't occur and the labour relations [are] managed smoothly behind the scenes."